Current Happenings -- THINGS YOU SHOULD KNOW ABOUT! 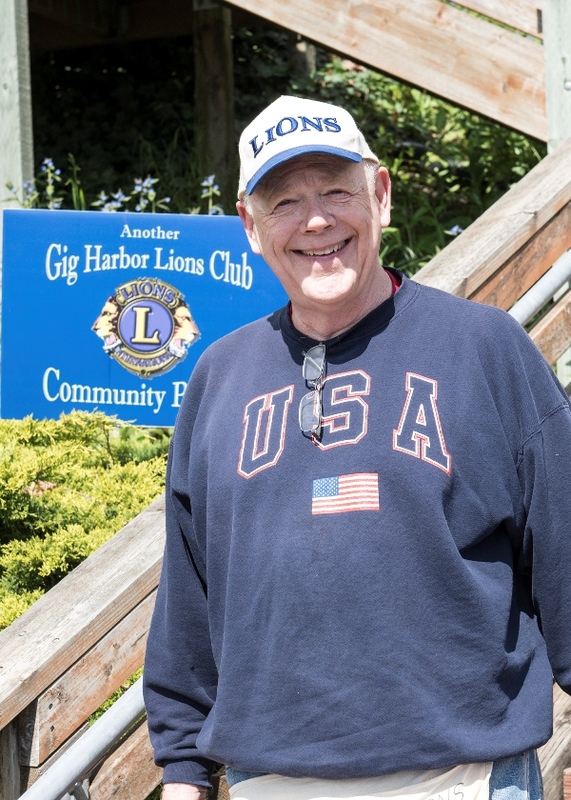 The Gig Harbor Lions Club hosted a successful fundraising event in cooperation with the Gig Harbor Applebee's! We raised $1001 to help fund families dealing with childhood cancer. We are very pleased to make this donation as a "kickoff" to the yearlong District 19C effort to assist families! 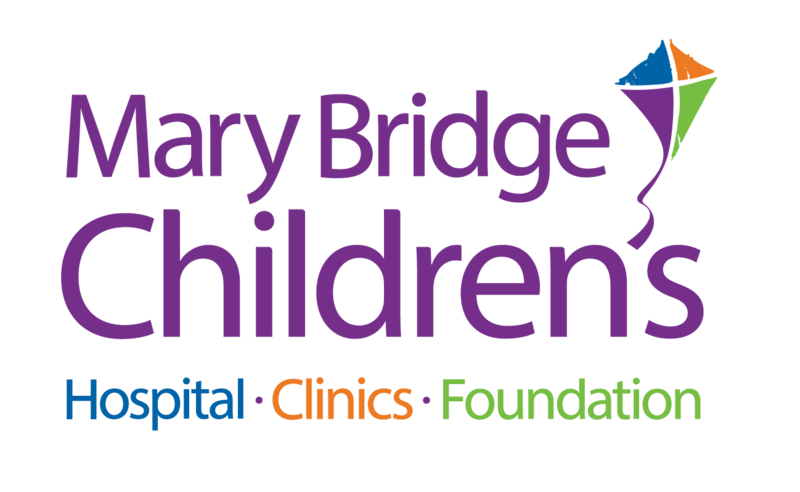 Thank you to Mary Bridge Children's Hospital for their assistance in creating this program! 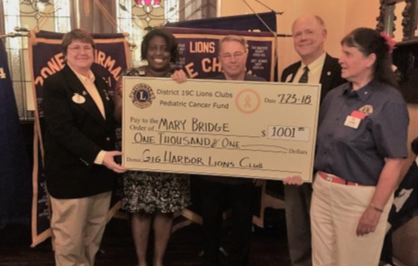 District Governor Sharon Sikes and Christina Turner from Mary Bridge accept a check from the Gig Harbor Lions Club. President Dave Tucker, center, is flanked by Gig Harbor members Council Chair John Kirry and Past President Sue Schmidt. A big shout-out goes to club members Sharon Kirry and Ruth Peterson who also spearheaded the effort at the fundraiser. FINHOLM VIEW CLIMB CLEANUP A GRAND SUCCESS! Thank, you Lions, and all those who have helped us in the first two legs of our “Spring Ahead” membership journey. We’ve been planning and executing this project since last January, and we completed the third and final leg of the journey on May 6, 2017, with the refurbishing and rededication of the Finholm View Climb. 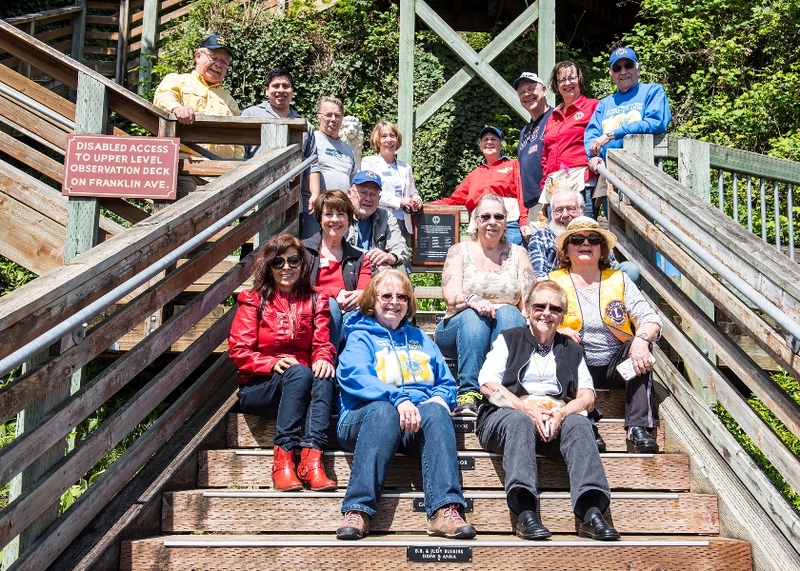 Lions clubs International encouraged clubs around the world to complete a "Legacy Project" in their communities and the Finholm View Climb was an easy choice. Built in 1999 by the Lions, the view climb connects the lower Finholm community with Franklin Street at the top of the climb. Breathtaking views of Gig Harbor await the casual walker or ardent speed-climber. Enjoy the photos below of our Lions at work! Photos by Ed Johnson. Lions Sharon Kirry at far left and Ruth Peterson at far right hold the linen banner (created by Ruth) that celebrates the Gig Harbor Lions Club Legacy Project. 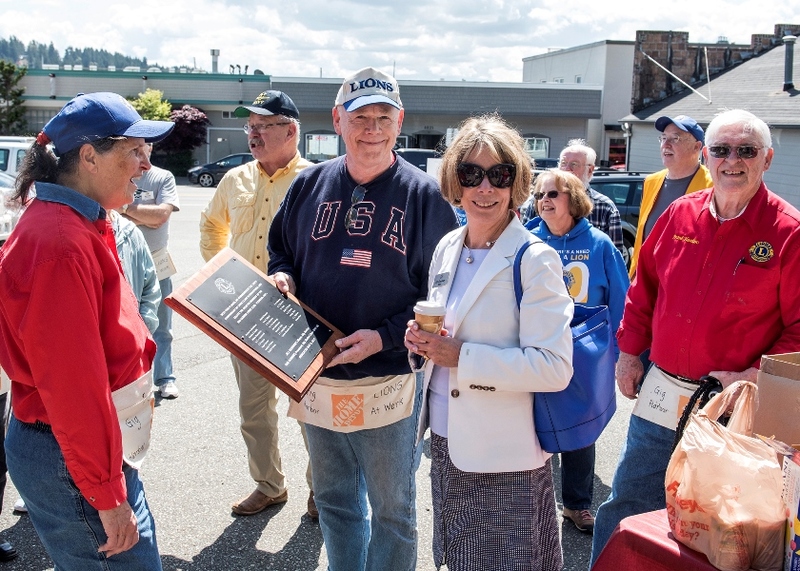 Club President Sue Schmidt, Membership Chair PDG John Kirry and Gig Harbor Mayor Jill Guernsey. 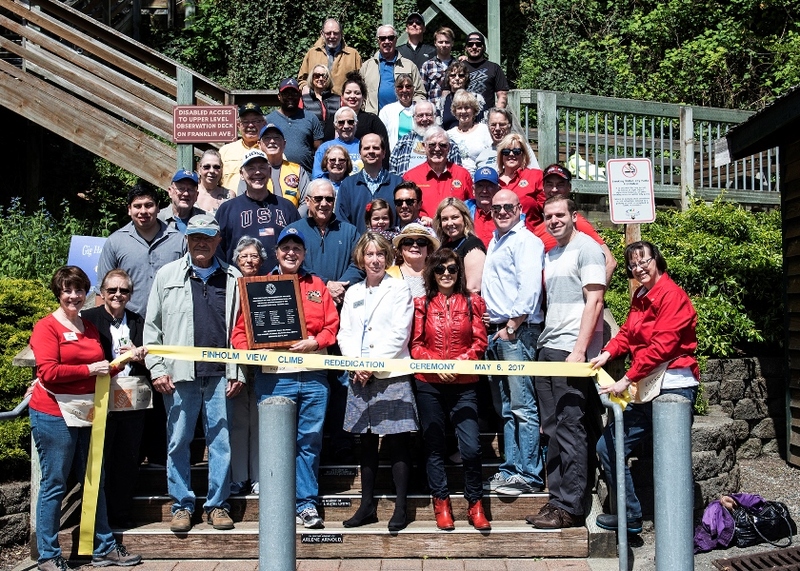 The new plaque celebrates the 24 charter members of the Gig Harbor Lions Club, established in 1931. Lion Doug Johnson is at the top of the stairway leading to the first landing. 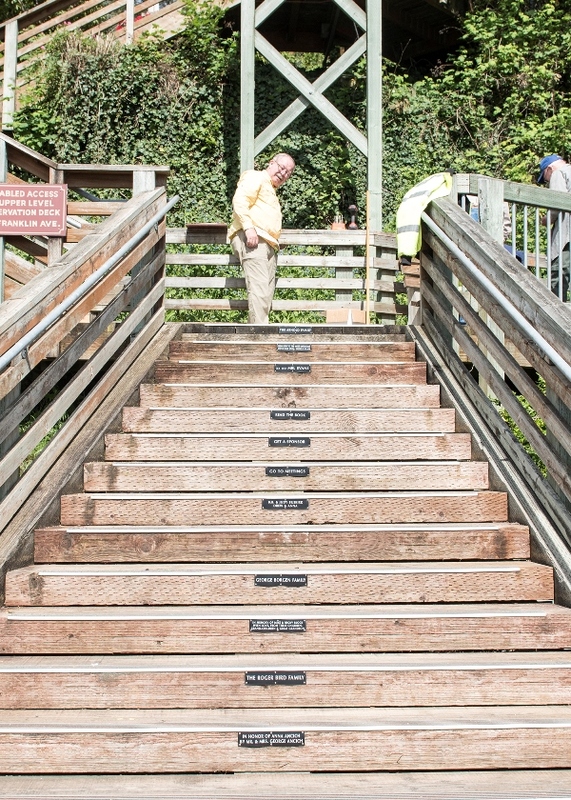 Lions replaced all the stair plaques honoring people and families of the community. Recent New Member Ken "Moose" Ianke attaches the new plaques. There are 93 total plaques on the Finholm View Climb, and Lions replaced them all with brand new ones. Lions Sharon Kirry along with Lions Ruth and Ken Peterson work on landscaping at the top of the View Climb. As part fo the May 6 rededication, Lions collected over 150 lbs of food for the local Fish Food Bank and over 250 pairs of eyeglasses for the Northwest Lions Eyeglass Recycling Center. Club President Sue Schmidt (L) and Mayor Jill Guernsey (R), flank Lion Doug Johnson who make the beautiful mahogany plaque surrounds that were attached to the railing. 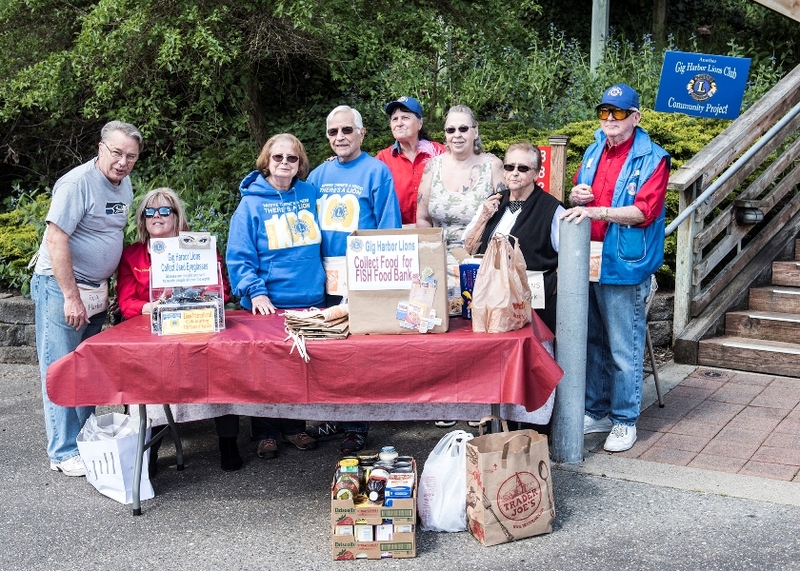 The Gig Harbor Lions Club AT WORK! Past District Governor John Kirry, Membership Chair and View Climb Project Co-Coordinator, celebrates the successful conclusion of this 6-month long project! Effective July 1, 2017, our own PDG John Kirry will assume the the office of Multiple District 19 Vice Council Chair! Thanks to everybody in all nine Districts for the vote of confidence!